Sooo, the other evening I went speed dating for the first time. In the basement area of a Hawaiian themed London bar, I took a seat on a wicker chair with a “mixeo” number, a table number, a wine, a small pencil and a handy little chart on which I could rate my dates (also take notes on who was who, 20 dates could get confusing). We had 4 minutes to have a chat with the candidates (hahah not the right word, sounds like an interview). The most awkward part initially was when the guys had to pick a girl to sit with first haha! The first few were relatively generic conversations whilst we all got into the swing of it. Questions and conversations included work (so many people worked in IT), where you live in London, age, hobbies, culture and family history and one conversation I had was purely about hair styles and we shared hair disaster stories! The longer the night went on, (the further down our drinks we got) the conversations got a little easier and slightly less weird haha. There was a handy toilet / drink break half way through and this gave us girls to have a reconvene on who had been a success, who was totally weird and recount any awkward situations. We got back to chatting for the second half and my first date ended up back with me as there was more girls than guys, they’d done a full circle. A few of us headed to another bar to continue the night, and in fact I spent some time with the date I had double dated, chatting quite a bit before heading home. Good news is, that in true modern style there’s a tinder / bumble yes/no follow up on the website where you can say yes or no to the people there and if you match it helps to find you a date! Sadly I’ve had no success from the adventure but it was really fun all the same. As my friends know well I actually enjoy chatting to strangers so it was an interesting evening for me (I’m notorious for chatting to people I don’t know, cue nights out in soho and shared taxis, just two of my most recent ‘stranger’ experiences haha). If you’re interested literally just search “speed dating UK” there’s a few different sites. I used Original Dating for the one I attended, but there seems to be a load of different sites for the whole of the UK. There’s some alternative ideas on this site too. 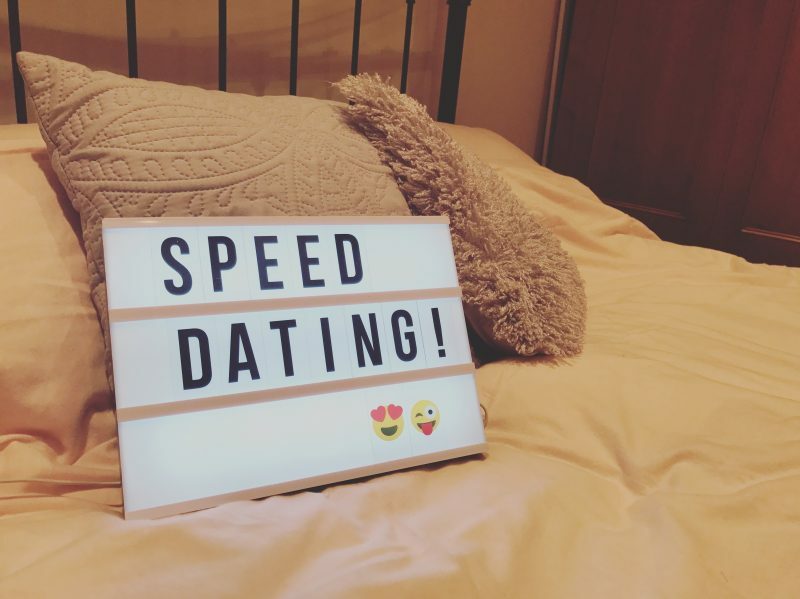 Have you ever been speed dating?